No longer making 2018 release window. Spike Chunsoft has delayed Steins;Gate Elite from its previously planned 2018 release window to early 2019 in North America and Europe, the publisher announced at Anime Expo 2018. It will be released for PlayStation 4, Switch, and PC via Steam. 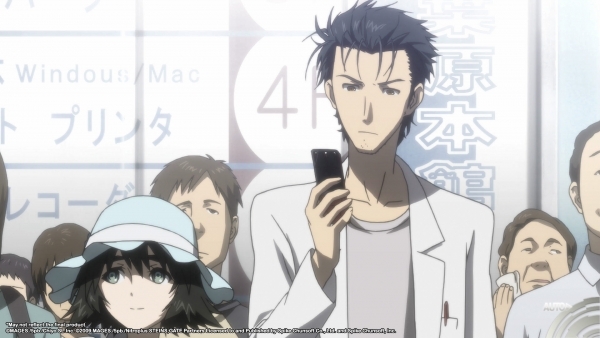 As previously announced, the PlayStation 4 and PC versions will include a high-definition remake of Steins;Gate Phenogram, which is a collection of 10 additional stories written by renowned writers such as Kotaro Uchikoshi. The Switch version will include Steins;Gate 8-bit, a special 8-bit graphics and chiptune version of Steins;Gate developed by series creator Chiyomaru Shikura. In Japan, Steins;Gate Elite was previously dated for a September 20 release on PlayStation 4, Switch, and PS Vita.